What’s important is to look at a health condition as part of a bigger picture and not in isolation. That’s exactly what a skilled acupuncturist would do to fully address an underlying cause of a medical condition. Via gentle insertion of tiny needles at precise locations on a body, an acupuncturist helps the flow of chi energy. 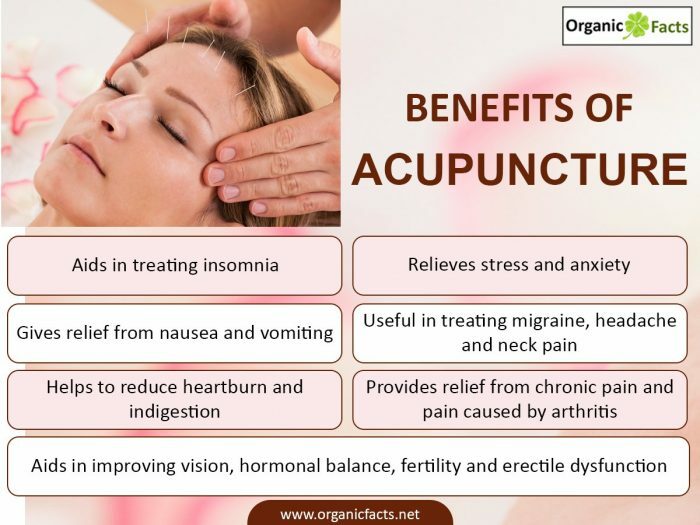 There are many acupuncture benefits. Acupuncture is very effective at treating allergies, arthritis, asthma, eczema, digestion problems, sleep disorders and other medical conditions. An acupuncturist applies a bit of pressure to acupuncture points lying on certain meridians, thus influencing the relevant organs. For example, asthma, bronchitis or similar chronic conditions are treated through specific acupressure points affecting the lungs. A subtle and organic stimulation of acupressure points can be used to not only address health problems, but also emotional issues and can be very effective in skin rejuvenation. What many people don’t even realize is that acupuncture is also very powerful if you want to lose weight, manage pain, or simply promote a healthy being. What are the Acupuncture Points? Immunizing Your Child but Still Concerned?